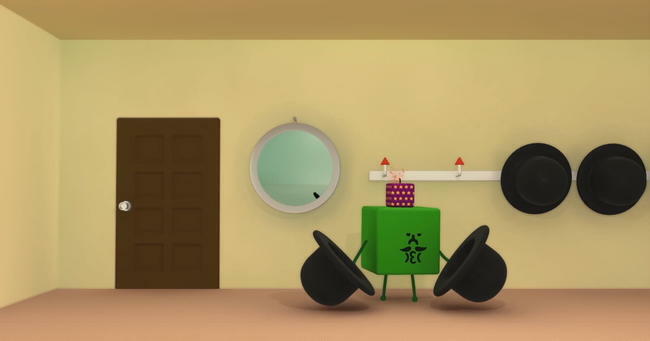 We all love Katamari Damacy, and if you don't, then get out! Series creator Keita Takahashi is always a fun guy to follow in game development industry because he never seems to put games on the top of his priority list in life. He's always more about entertaining people, especially children, and he says his dream in life is to design playground equipment. As an educator of kids, I gotta respect a guy like that. His games are always cut from a different branch of the tree, focusing on mind-bending ways to have fun rather than spoon-feeding it to you, and his newest seems to fall in line with his library of offbeat hits like Katamari Damacy and Noby Noby Boy. Wattam, unveiled this weekend at PlayStation Experience, is a collaboration project with Takahashi, Boom Blox producer Robin Hunicke, and Sony's Santa Monica Studio. It will be exclusive to the PlayStation 4, and as with most of Takahashi's games, it's inception comes from experience with children, in this case his experience with how his two year old son handles toys. Needless to say, lots of destruction is going to be involved! And the trailer seems to suggest as much as well. We are not treated to a whole lot of gameplay, maybe, but we are treated to yet another green and blocky shaped protagonist. He whistles while changing his hat after coming home, not noticing the explosive present on his head. And that's about it,. He leaves his house and kaboom! That's all we are given. I am certain we will be seeing more of Wattan as time goes by, but really, it's just so wonderful to see Takahashi return to the console scene, even if that means my hypothetical kids won't be playing on his playground equipment any time soon.